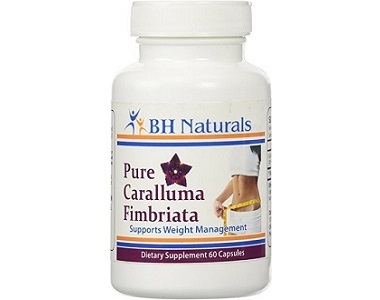 BH Naturals Pure Caralluma Fimbriata Review - Does It Work? 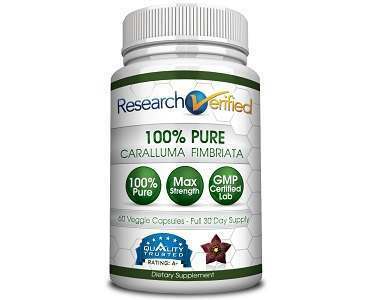 Today we review the product Pure Caralluma Fimbriata manufactured by BH Naturals. If you want to lose weight and you have tried just about everything, then you know how hard it can be to find a supplement that actually helps in your unique weight loss journey. BH Naturals Pure Caralluma Fimbriata claims to help to suppress your appetite, quench thirst and it also boosts endurance which may help you to lose weight faster. If you want to know more about this product, then read the rest of our in-depth review below. 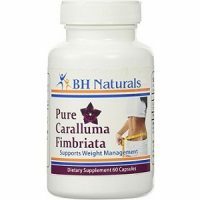 What’s in BH Naturals Pure Caralluma Fimbriata? This product consists of 800 mg of pure Caralluma fibrate that is extracted from a plant found in India and Sri Lanka. This ingredient helps to block to enzyme citrate lyase which helps to prevent your body from producing fat. This also reduces hunger and thirst in customers and over time helps you to shed some pounds. If this product is used in conjunction with a healthy eating plan and exercise then you will lose weight faster. This ingredient may also have other health benefits because it is so rich in antioxidants, which can help to fight off free radicals in the body. How Do You Use BH Naturals Pure Caralluma Fimbriata? It is recommended that you take 1 -2 capsules per day on an empty stomach. It is best if you take this product first thing in the morning at least 60 minutes before breakfast. Do not take more than 6 capsules a day. If you are pregnant, nursing or suffering from a serious medical condition it is best to speak to your doctor before you take this supplement. You can buy this supplement directly from the manufacturer’s website for $14.95. Each bottle contains 60 capsules and will last you 1 -2 months depending on how many capsules you consume per day. The more bottles you buy per order the more money you will save. 2 Bottles will cost you $27.90, 3 bottles will cost you $40.85 and if you buy 4 bottles you get one free for the price of $59.80. This product comes with a 30-day guarantee policy and you will have to pay the refund shipping fees. They only accept one open bottle of the same product, the rest of the bottles have to be sealed in order to be eligible for the refund. You can also call or email them for more information regarding their refund policies. Other leading manufacturers offer up to 90 days or more to test out a product, leaving us to think that 30 days is a relatively short amount of time to determine if this product really works. A lot of the customer reviews of Amazon are negative and states that this product does not work and does not successfully reduce cravings. We like that this product aims to help you lose weight naturally and that they offer a myriad of purchasing options and discounts. However, we are concerned about this little amount of time given in the guarantee policy to determine the efficacy of this product. Some of the negative reviews also makes us questions if this product really works.